Takes 12 minutes to read. Too busy right now? Save it and read it later! Four Kitchens, a distributed digital agency, has started exploring virtual and augmented reality on the web. I talked to its CEO and co-founder, Todd Nienkerk, about the possibilities and his advice to agencies interested in working with VR and AR. I first met Todd back in 2009 at DrupalCamp Stockholm where he was one of our guest speakers. Todd and I have stayed in touch over the years, and it’s been exciting to see his and co-founder Aaron Stanush’s agency, Four Kitchens, grow, innovate and experiment. Four Kitchen’s mission is to help customers “manage and publish great content” to “inform, educate and engage” their audience. VR and AR content is still in a nascent phase, but that doesn’t discourage the agency. Their goal is to establish themselves as one of the experts in this area and to be ahead of the mainstream trend: “We want to be there when the market arrives,” says Todd. What is VR or Virtual Reality? 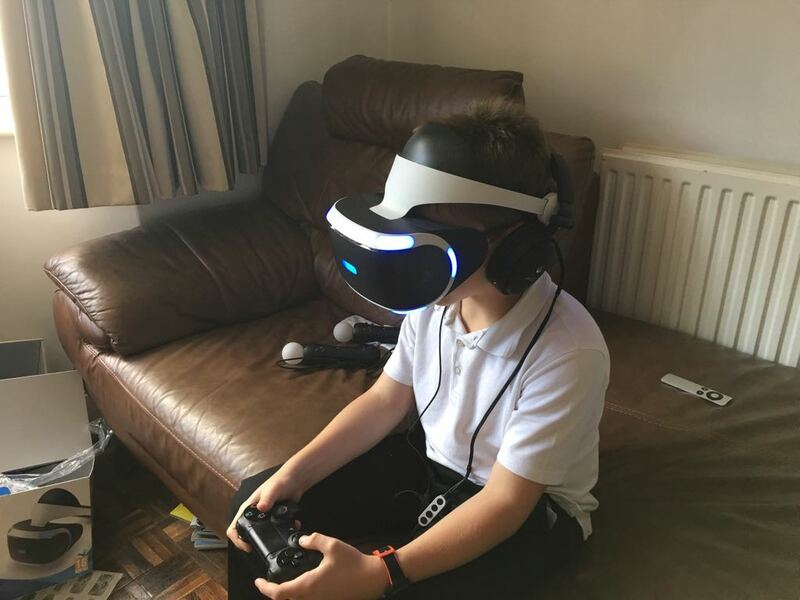 Kid using a PSVR, the VR headset for the Playstation 4. Examples of VR include exploring alien planets or visiting digitally recreated places such as Roman ruins. Most VR technology uses head-mounted displays that cover the user’s eyes and show an alternate view. The headset tracks the user’s motions and updates the view. 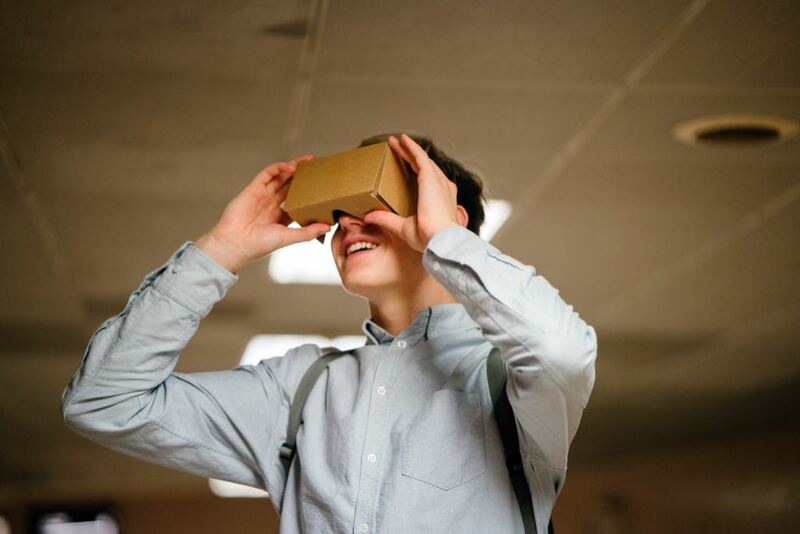 Using technologies like Google Cardboard, you can achieve VR with a simple headset and a smartphone. What is AR or Augmented Reality? 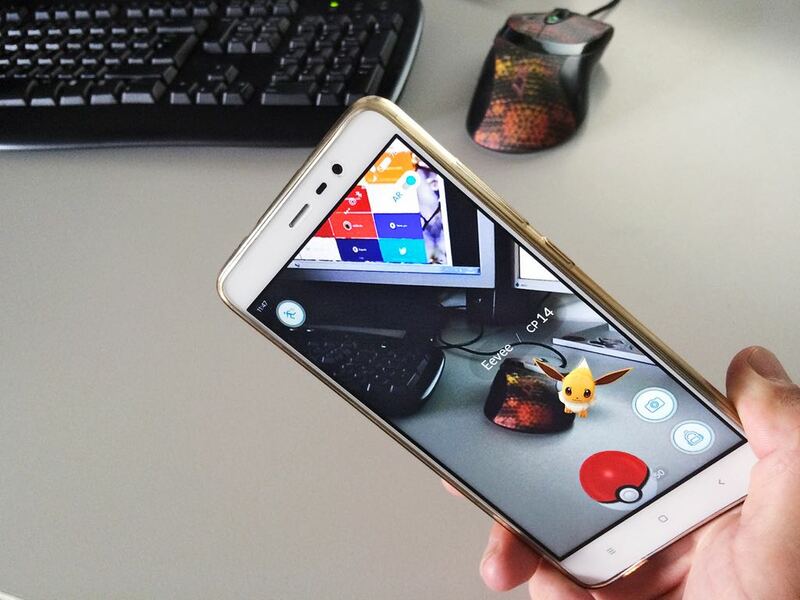 Pokémon Go being played over a desk and the game superimposing a pokémon using AR. The most famous application of AR might be the game Pokémon Go which had millions of people out in the world “hunting” for “Pokémons” to catch. Pokémon Go doesn’t require a headset. Instead, it overlays 3D graphics over the camera view of the user’s phone. But there are more practical applications for the technology such as offering a real-time x-ray view of a patient to a surgeon while operating. You may also have heard of mixed reality (MR). It is similar to AR but it also integrates itself with the existing world in a way AR does not. While AR is more of an overlay, MR anchors virtual objects in the real world and makes reality and virtuality even harder to tell apart. Some of this may sound innovative, but we’ve been living with these technologies for quite some time already. One example Todd gives is the line of scrimmage in American football. For us Europeans who aren’t familiar with football, the line of scrimmage “is an imaginary transverse line (across the width of the football field) beyond which a team cannot cross until the next play has begun” (Wikipedia). TV channel broadcasts indicate it by showing virtual blue line. 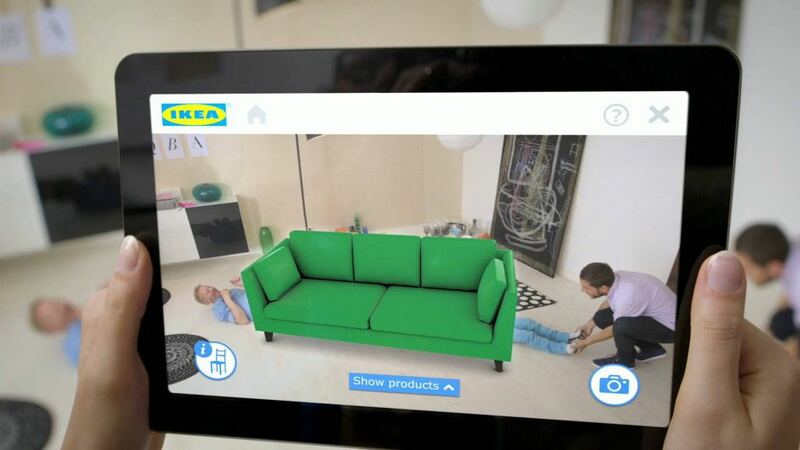 The IKEA app being used on an iPad to place a couch in AR. Todd says that one of the most exciting improvements of smartphones is the addition of an extra camera, giving phones cameras stereo vision. This enables improved depth perception, just like in us humans, which is interesting as it allows the phone to do some calculations faster such as detecting edges and planes. These are critical for AR applications such as the IKEA app that projects virtual furniture in your home using AR. Google Cardboard, a simple viewer made of cardboard and plastic lenses, which uses a regular smartphone as screen. As a result, Four Kitchens focuses on bringing AR and VR to the web making it more readily available on existing platforms and devices that everybody already owns to reach as many people as possible. Todd tells me that what Four Kitchens is particularly interested in is how content intersects with VR and AR. Their job is to help make content “useful, valuable and compelling.” The good news is that we don’t have to wait until viewers and headsets become commonplace. You can get far without using a head-mounted display or viewer. Holding your phone and panning to look around is usually enough to be useful. 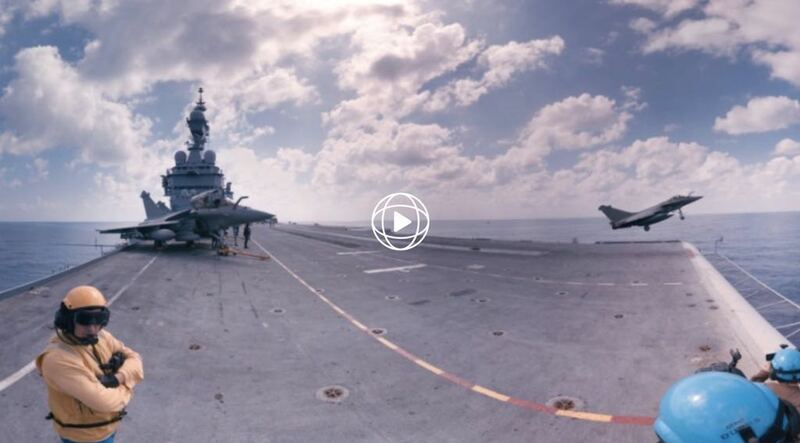 Todd tells me that what convinced him of the usefulness of VR was watching a CNN 360 degree video of French aircraft carrier Charles de Gaulle carrying out operations against ISIS in the Mediterranean. What won him over was that he didn’t need a viewer to enjoy the content. “This content is accessible to people even in two-dimensional formats,” he says. His next thought was: “We’re eventually going to have a client that asks for stuff like this.” It had to be more than just a video upload to Youtube and instead more of an interactive experience. They started looking into VR tours with interactive hotspots, working like links, with popup content. One of their first demos of this technology was a VR tour titled “Meet the Web Chefs” they presented in 2017. In this tour, two of their team members introduced the viewer to their workspaces. It was a way to show the potential of the technology as well as introduce the fact that they’d become a virtual business and how it affected the way they work. These scenes work with on device, be it a smartphone, tablet or laptop. The viewer can interact with icons in the scene. “If you interact with them you’ll get a video that plays, or a text popup or a closeup photo or some way to interact with that stuff and those are really compelling for a lot of use cases,” Todd says. He mentions virtual tours at museums and university campuses as potential applications of this technology. Todd says there are five main use cases that are particularly well suited for VR and which apply to many different experiences. “VR is an empathy building machine, “ – Todd Nienkerk. One example Todd gives is a non-profit organization working to bring clean water to villages in sub-Saharan Africa. That’s a remote problem for a lot of people in wealthy countries. The idea of not having access to clean water seems remote to many, and few have any clear idea what sub-Saharan Africa is like. “What does a clean water system look like? What does it do? What does it mean?” Todd asks rhetorically. He says you could send a video crew to make a short video about it, but that won’t make you feel like you’re there. “We have such a separation between the screen and us,” Todd says. However, when you have a headset (or viewer) on or look at a scene using a phone like a keyhole, “you get a sense of scale, you get a sense of understanding: this is where people live like I’m inside one of their homes,” Todd explains. With a video camera, “you’re only seeing what they want you to see.” Todd argues. He says VR seems “less contrived” than traditional types of media. 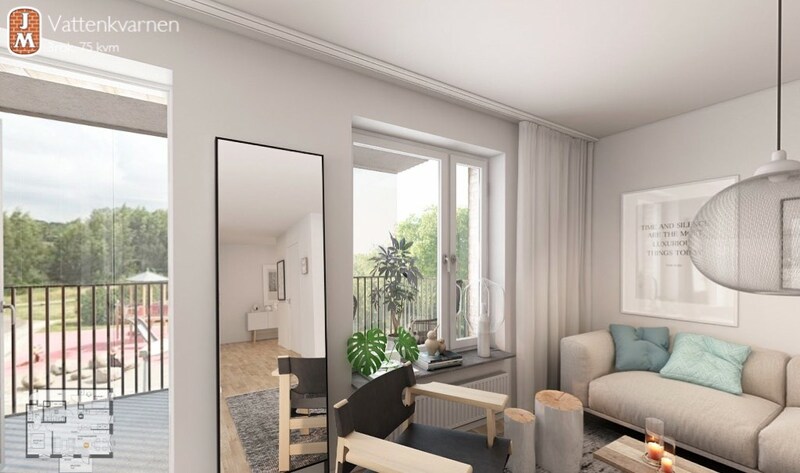 Swedish property developer JM now offers virtual tours of apartments before they’re even built. “This is really good for tourism, travel, hospitality and the real estate industry,” Todd says. He gives the example of a VR tour of an apartment before even going there for a physical viewing. He says that a key element in renting out your own room using Airbnb is having great photos. “They send a photographer out to make your place look really good in the photos,” Todd says. However, to squeeze as much of the room as possible into each frame, they use wider focal lengths (i.e. ”fisheye lenses”) which makes space appear bigger than it really is. “In every photo on Airbnb, everything looks bigger than it really is,” Todd says. “Well, if you had a 360 camera you wouldn’t need to fit anything else into the shot ‘cause you fit everything into the shot, and there’s no manipulation of focal length,” Todd explains. “A 360-degree camera is of course two 180 lenses glued back-to-back, it’s all there is. It’s like 150 bucks, it’s cheap. Not expensive at all.” Todd demonstrates. Another example Todd gives is taking people to a place they cannot visit. Such as in the case of people with disabilities. “There’s this thing in the United States called Honor Flights. It’s when an airline or non-profit donates an airplane trip to veterans of foreign wars,“ Todd says. These trips help veterans travel to Washington DC for free to visit the war memorials. Many former service people are quite old, so traveling is difficult for them due to age, or illness. In that case, VR provides an alternative way to visit these sites. 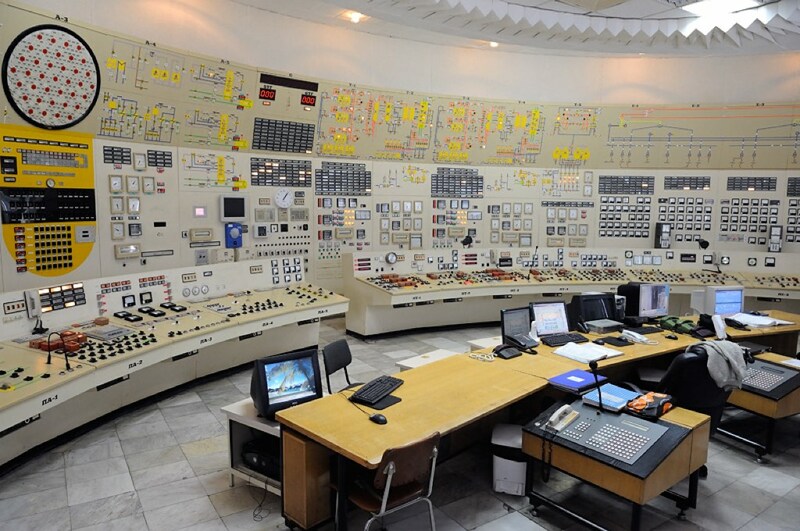 This category includes campus and workplace tours, or safety tours for working in hazardous conditions such as a nuclear power plant. “It would be a lot better to train them in VR first before you put them on the floor, right?” Todd says. Todd also mentions lab training, even remotely. You could show someone the location of the eyewash station even though they’re physically elsewhere. 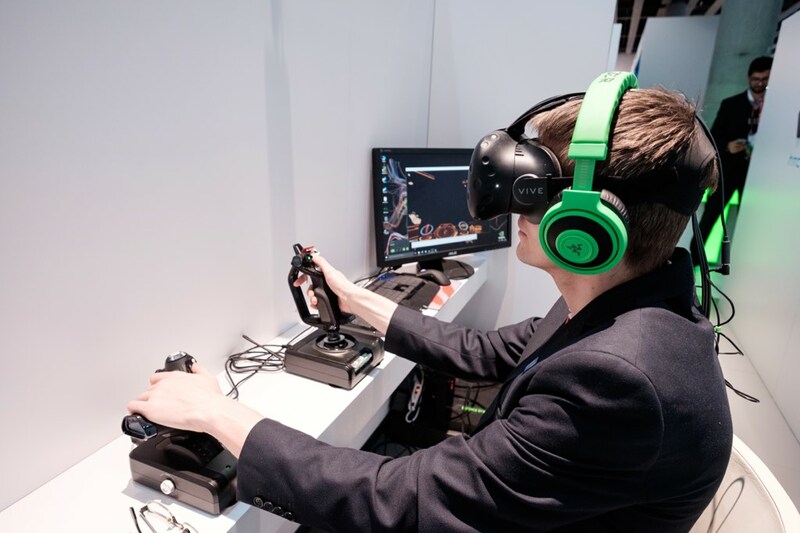 Another example is flight simulators, which have been around for a long time, and allows pilots to try things that would be deadly in the real world. 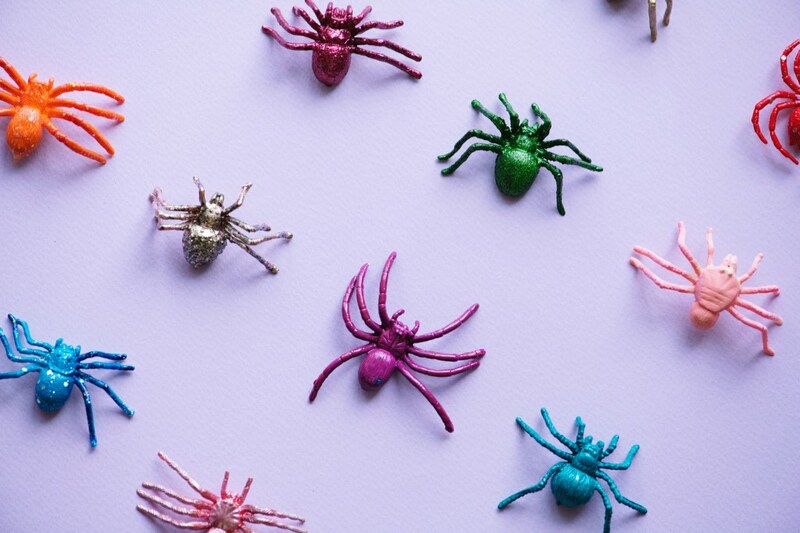 Therapists successfully treat arachnophobia (fear of spiders) using VR. Another use of VR is cognitive behavior therapy for PTSD: “One use case we pitched to a hospital once was the idea of reducing the anxiety of a visit by providing a tour of the hospital from the patient’s home first,” Todd says. One example of such a tour would be a pregnant woman who hasn’t visited the hospital being shown in VR what will happen when it’s time for delivery, what equipment they use and for what. These are examples of exposure therapy and there are cases of VR being used successfully to treat phobias of different kinds. HTC Vive VR headset used for a gaming demo at Mobile World Congress. This is perhaps one of the first applications people make when thinking of VR but may not be as common once VR hits the mainstream. “When you blend reality with augmented reality, the possibilities just really explode and the market is just trying to figure out what will be useful,” Todd says. One thing Todd says makes AR powerful is image recognition. 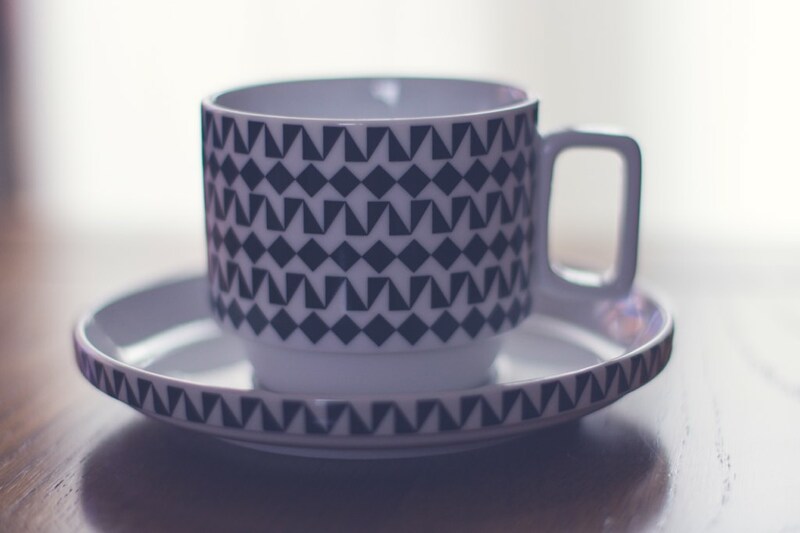 One example he gives is going out shopping and checking of a teacup is available online cheaper. AR would allow you to look it up just by looking at the cup or pointing your phone camera at it. Using AR when shopping in a physical store, you can check the price of that teacup in your hand and compare it with online stores. Todd says that a constraint in the AR industry is being able to do image recognition on the device, not requiring a fast Internet connection. It’s a computation-heavy feature, which many manufacturers do in the cloud. The drawback being it seems slow to the user compared to doing it on the device itself. “The thing that AR and VR have in common is three-dimensional modeling. Both of them are using these technologies. How do you work with three-dimensional assets on the web and how do three-dimensional enhance your experience of content on the web?” Todd asks. As a result, much of Four Kitchens’s investment in AR and VR has been learning about 3D technology and 3D modeling. “What are the tools you use to capture a 3D object in the real world? What are the file formats that are popular? What are the pros and cons of the various file formats? How do you display them in a web browser? All of that stuff!”, Todd says. He adds: “The 3D web is just a really interesting space” and mentions several applications of the technology such as being able to view 3D objects in e-commerce applications using multiple photos or 3D scanning. Todd says that it gets easier and less time-consuming to produce these kinds of 3D models of real objects. You can use EditVR, an open source application, to create interactive VR scenes. To make this even more accessible, Four Kitchens has created an open source project called EditVR, and they invite others to collaborate. “It allows people to create Web VR experiences very quickly. So all they need is an inexpensive 360 camera or a camera that can take stitched 360 photos. Stitching is like doing a panorama, but you do it in all directions. Then you can upload it to EditVR and start adding hotspots and points of interactions and linking scenes to each other using transitions. These are essentially hyperlinks in VR. It’s like a portal,” Todd explains. He adds: “We built this tool because we wanted to show that VR content is ready and that you can do it today and we want to help people integrate it with their larger digital strategy. 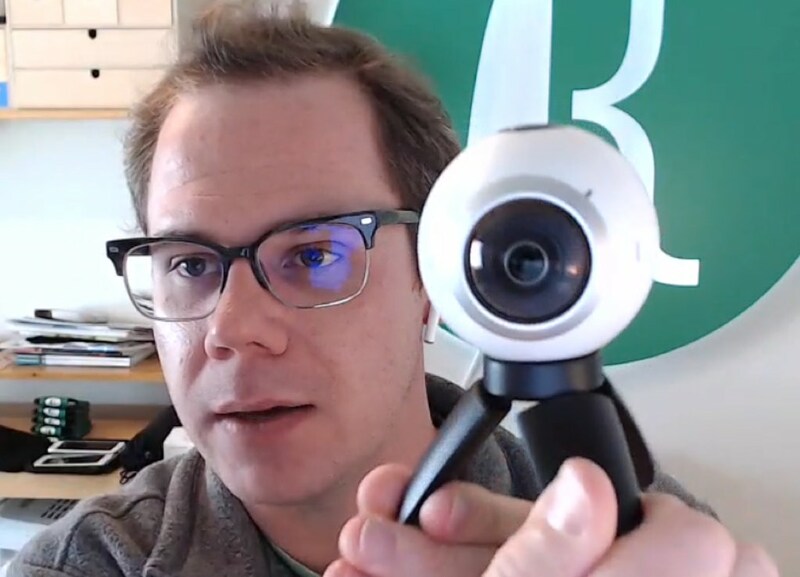 So if you’re a content producer, and you’re already doing blog posts and videocasts why not also do some inexpensive 360 experiences VR experiences?”. Update Sept 12th, 2018: I recently talked to Todd about their work repositioning their agency as a content strategy company, capable or AR, VR and more. Check it out to see how they do it. I asked Todd about his recommendations to agencies eager to start with VR and AR. Todd says there are lots of agencies that only do VR and AR but because they’re just doing that they’re currently in a better position to take on paid work. It’s their entire portfolio and all the marketing they do. For agencies that are less niched, it’s hard to find this kind of work unless you have a great and trusting relationship with a client, says Todd. “My advice [to other agencies] is to be patient, stick with it and stay involved. Because this is going to arrive,” Todd concludes. Todd says he’s more than happy to hear from other agencies who are looking into AR, VR, WebVR and 3D technologies. So if this topic excites you, don’t hesitate to get in touch with him. Do you have any VR or AR projects planned? I’d love to hear about them. Please post a comment. I read all the comments. What is the difference between VR, AR and MR? Video interview, Jakob Persson and Todd Nienkerk. Jakob is the founder and CEO of Zingsight, the company behind Bondsai. He's been involved with the web for over twenty years and has previously co-founded and grown a web agency from 4 to 70 people. 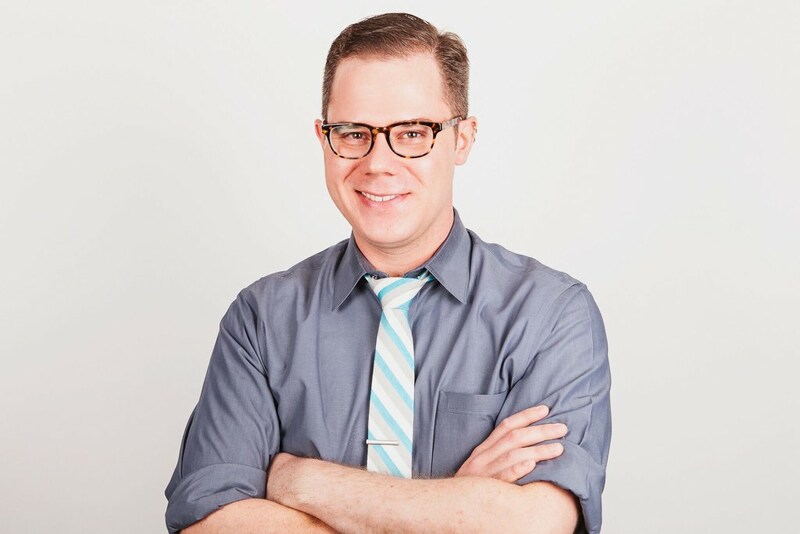 Jakob holds degrees in media technology and cognitive science. He consults in product design and management, and business development. Jakob is an experienced skier and a learning scuba diver. Value-Based Pricing: Charge what you're worth. Marketing: Get more clients and with less effort. If you have suggestions for things we should cover, don’t hesitate to drop us a line: contact page. To get in touch, please use our contact page.